Helpful Pointers: Choose Activities Menu or Active Inventory header to choose Mobile/Tablet versus PC in the version that works best for you. *The most efficient way to use the system and Voice Entry is to have all your items in order by category and size before you begin. *Voice Entry is listed as a choice under Active Inventory then follow the instructions given. Item entry is important to ensure that all items can be sold. Description: List NAME BRAND first. Next, please list description of item. Just "white shirt" does not work. EX: Talbot's white button up shirt is acceptable. ​List J first for Junior's. Many items that are XS Junior's can be confused with a larger children's size. Next: Name Brand is a must. *If tag becomes detached to item during the sale we will have a much better chance finding the de-tagged piece if the description is correctly labeled. Attention Consignors: New Tagging Contest to win a $50 Walmart Gift Card. It's easy to win, just register as a Consignor for the Spring 2019 sale and then enter the most NEW items in the Active Inventory system between Friday, February 22nd at 8:00pm and Friday, March 1st at 8:00pm. Making old inventory active does not qualify, these must be only new items entered. The winner will be notified via e-mail or text on Friday, March 1st. The $50 Walmart Gift Card will be given to the Consignor with the most new items entered at Consignor Drop Off on Monday, March 4th, 2019. Kids Kloset is selling Tagging Guns with 300 free fasteners for $10. Fasteners are also on sale, 500 for $1.00 or 1,000 for $2.00. Send a text to 919-353-5617 with your contact information to purchase any of these items. Tagging guns make tagging clothes fast and easy. five of the 14" x 18" and five of the gusseted 10" x 8" x 24". Assorted sized plastic cable/zip ties are for sale 100 quantity for $2.00. Safety pins are also for sale, 200 for $3.00, sizes are assorted. Text 919-353-5617 with your contact information to purchase any of these items. You MUST use white cardstock ONLY! NO construction, sticky backed, notebook, or regular printer paper. Please DO NOT use cardstock over 110 lbs. Over 110 lbs will soak up too much ink and may not be read. YOU CAN GET SOME OF YOUR HANGERS BACK AT THE END OF THE SALE ON DAY OF PICK UP, ONLY! These "bedding" type bags are very helpful to resell bedding, large games, several of somethings. Stretch Wrap. If you buy a roll, it will last about forever. You can find cheaper rolls. These were at Lowes. 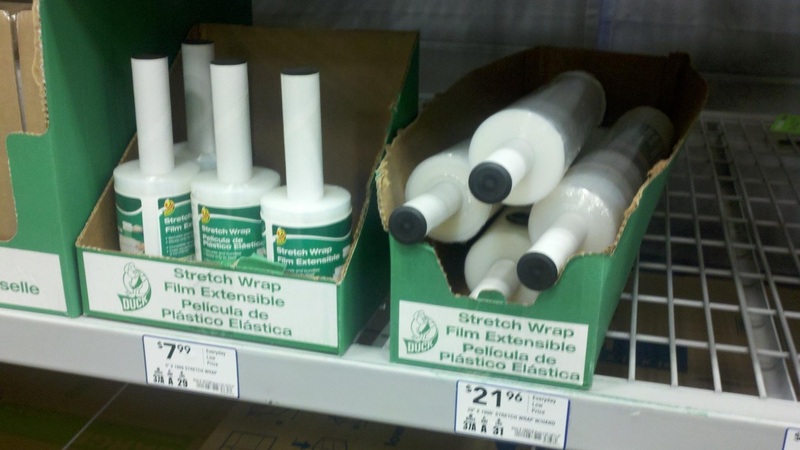 Blue Tape or Green Tape. This is just an example of how to use it on something that is paper backed. -Make sure your tags have been neatly cut. -If you need to write any extra info on the tag, you may,as long as you do not write on the bar code. Sometimes more info is needed when selling a larger item or a multiple piece item. (Tagless items need to have the price tag attached to an available seam using a safety pin through the label or in the intersection of a seam) . Do not use the holes provided on the tag. Push tagging gun needle about 1/3 of the way down the tag. Place the tagging gun needle in the label or under the arm of the garment. NEVER PUT NEEDLE THROUGH THE GARMENT. Poke a single hole about 1/3 down the tag with a pen,pin or safety pin. The cable tie will go through the hole and then loop it in the items label or other component. Do not attach to the hanger. Do NOT attach tag to front of garment over heart side as in previous sales. 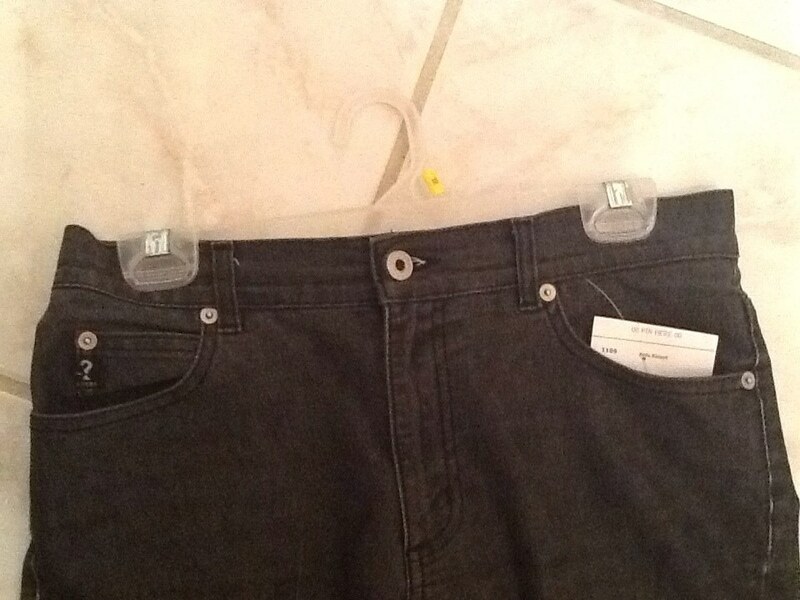 Only single pants or shorts,should you attach the tag to front so you don’t have to take off the hanger to see the size. *Make sure that your tag is secure. However, make sure we can still remove the tag at checkout. Do not place tag on hanger under any circumstance. The better the presentation of your items the faster they will sell! Clothes do not sell well in bags other than a few exceptions. Even small baby items sell better when they are hung. Onesies ( of the same size) should be grouped in multiples and bagged. Size 3 and under are the only ones that need to be on children's hangers. Over size 3, using your judgement, look much better on larger hangers. There is also a medium size hanger, a vinyl coated wire hanger. This is suitable for those in between sizes. All garments need to be hung in the direction of a ? This means when looking at the garment the hook should look like a question mark. Button all buttons, snap all snaps, zip all zippers. Hang as wrinkle free as possible. If you do not have pants hangers, pin pants, skirts, shorts right under the waistband to the neck of the hanger. Pin under the waistband over the hanger, back through the item and then close the pin. This will secure the item onto the hanger without sliding and the presentation is much better. Use the larger safety pins so you will not hurt your hand and the item will be much more secure. 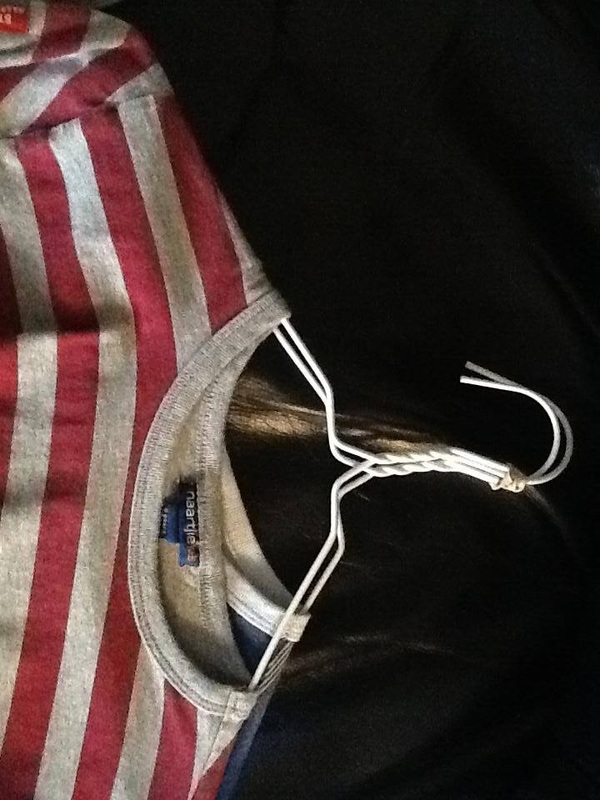 Do not try to hang pants on a hanger without pinning them to the neck of the hanger. This is in the case you do not have pants hangers. Pants hangers work best for all pants. For 2 piece items you can safety pin pants or skirt to the back of the shirt so both the pieces can be seen. Pin right under the WAISTBAND of the pants to shoulders of the shirt on the neck of the hanger. 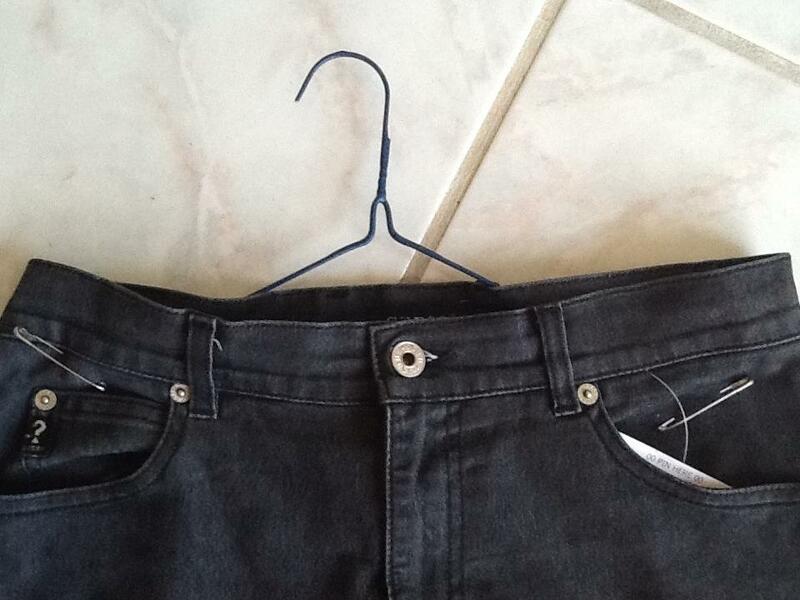 Let the hanger carry the weight of the pants. If the item is too heavy, like with bigger size clothing, pin the 2nd item underneath the shirt onto the neck of the hanger, as listed above, or hang on seperate hanger and rubberband 2 pcs. together. Example on bottom of this page. If the 2nd item is pinned to low on the shirt tearing or ripping of the garment could occur. *If you have 2 pcs. that need to be sold together but are on seperate hangers please rubberband them together. Example on bottom of this page. Shoes, try to cable tie them together so they may be still tried on. Baby shoes under size 2 please put in a ziploc bag and put tag on outside of bag with clear packing tape. the waistband if a bottom or the intersection of the seams if it is a top. intersection of the seam if it is a top. DO NOT sell it if parts are missing. Package them so little hands can not separate parts. Secure pieces together with either cable ties or packing tape depending on which works best. 1. Close house if possible with cable ties. If you have to connect more than one to make the closure work, do that. 4. Secure the bag(s) to the dollhouse either inside or outside so no one can separate the pieces and in a way that will not damage the house. . 5. Secure the tag on the house so it will be out of sight for little eyes. Make sure the tag is secure, but able to removed when needed. 1. 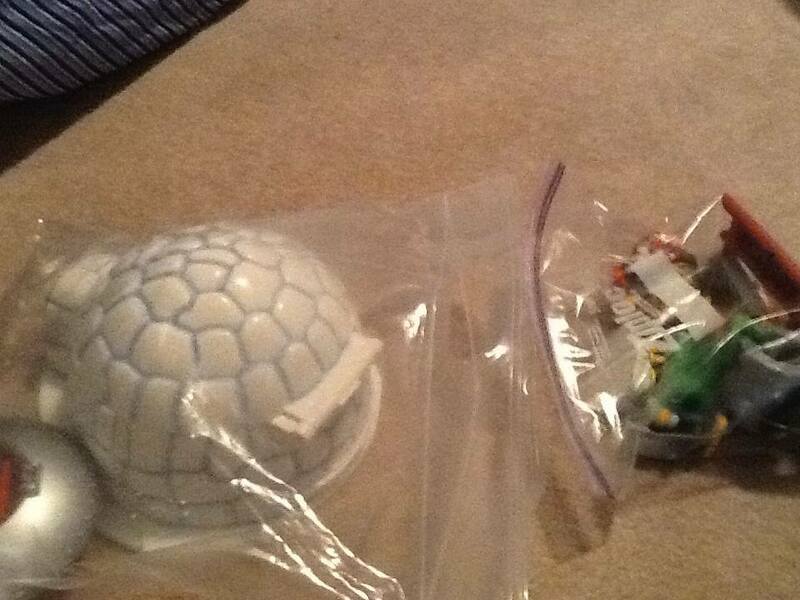 Choose an appropriate ziploc bag to do one of two things. a. 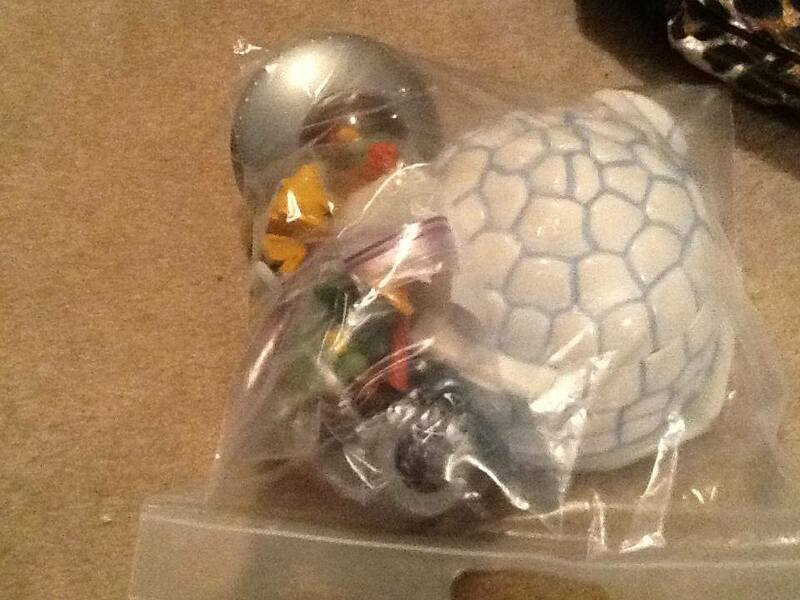 Place all pieces in one big ziploc bag that will hold the entire puzzle without compromising the bag. b. 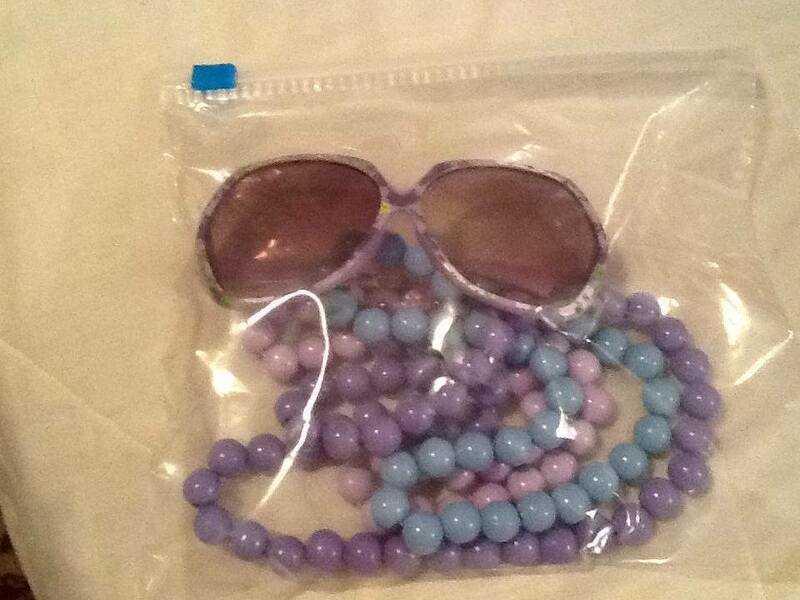 Place only the pieces in the ziploc bag and tape it shut with clear packing tape. Then take the taped bag and gently, but generously tape the bag to the back of the puzzle with a painter's tape. 2. Then tape tag to the ziploc bag so the puzzle itself is not compromised. 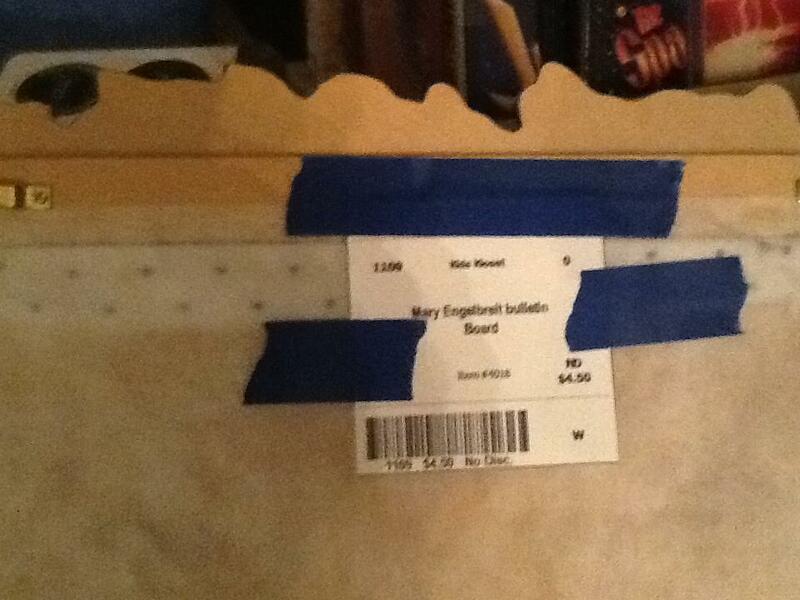 * When selling books or board games use a painter's tape to tape the tag to the item. CHEAT: A trick to tape it all with a little more work, but it looks better. 1. Tape the tag with clear tape to a strip of painter's tape. 2. Then, using the painter's tape with the tag attached to the top of painter's tape, tape the piece to the book or game. A few of the hangers not to use and a few ways not to use them. These are some of the best way to hang garments. The best way to hang and tag pants! Another great way to hang pants. Use the neck of the hanger, pin right below the waist of pants, skirt or shorts. Tag at the seam of the waist. If you do not have tagging gun, use either a cable tie or a large enough safety pin to go through thick denim. The best way to hang 2 pcs. Separate hangers, rubber bound, 1 tag. 2 cami's, 1 hanger, 1 tag, safety pinned together at the strap. This would not be good for shirts, but cami's and swimsuit tops would be great. 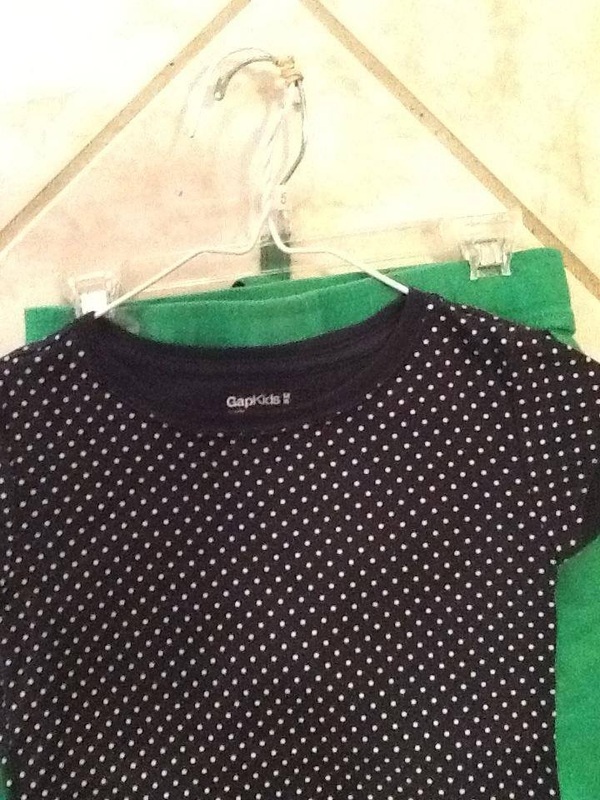 2 shirts, same brand, same size, 2 hangers rubber bound together, 1 tag. Best way to package and tag random odd pieces. 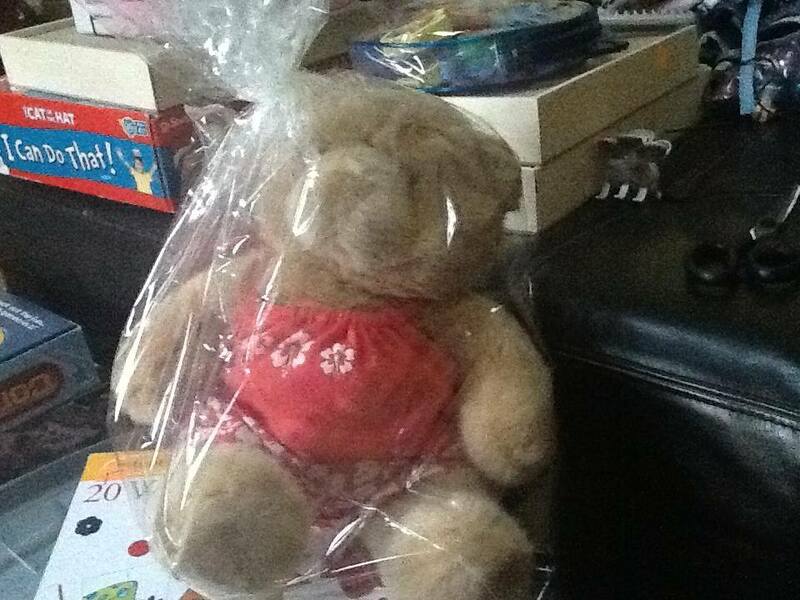 Build a Bear and accessories. Use a cable tie to tighten and place tag on with clear packing tape. Multiple accessories. 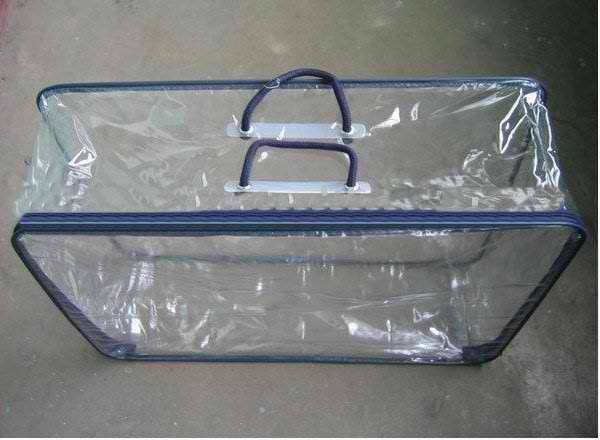 Place a little clear packing tape over actual ziploc, if it does not need to be openend. Tape the tag on as well. 30% of retail is a good general rule to go by when pricing items. Base the price also on the wear of the item. Remember that consignment does not mean retail. 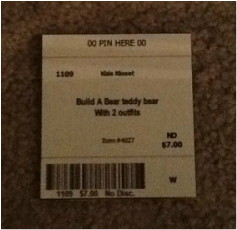 *Please size according to how the garment fits not necessarily what the tag says. For example if a garment label shows size 3 but fits like a 2 you would tag this as a size 2. Children's clothes-Numerical sizes, i.e. 3-6 Months, 24 Months, 3T, 6, 10, 14, etc. Juniors-Girls-Numerical sizes, i.e. 1, 5, 9, etc At Description Line 1: Add Jr. G and then the brand of item. Only if you did forget or have printed out tags then, go back and hand write JR under the size of the garment if it is a Junior Girls clothing item. *ALWAYS ALWAYS ALWAYS enter the brand of the garment first on the Description line 1 entry Description should also include color, number of pieces if more than 1, any other detail that will fit in both description lines. You may use abbreviations that are understandable. ALWAYS ALWAYS ALWAYS enter Jr. g or Jr. b then brand for all Junior girls and Junior boys items on Description Line 1. If your item is listed as a Large and you know that is from the Junior's dept., then when scrolling for size on tag entry be sure to put a number size not a word size. * Junior sizes are only considered to be Junior if they are sold in a Junior Dept. Please give as much detail as possible in the area provided on the tag. NO EXCEPTIONS!! ANYTHING LESS THAN A $1.00 WILL NOT SCAN!! If an item is not worth a dollar you may group like items together and sell them as one item. Your items will only be discounted if you check “discount” when adding your items into the system You may not write over the tag to change the discount. You HAVE to change this in the computer, therefore, will have to print out a new ticket. The ND over the price explains to the shopper that this particular item is not discounted. When the customer checks out, the computer will only read what is on the tag, no handwritten info. So this item will not be half on the appointed days. Spring and Summer clothing is the focus for our Spring/Summer sale. As with all seasons we accept toys, furniture, equipment, bedding, children's décor, maternity etc. Outdoor toys and equipment. Toys sell well. 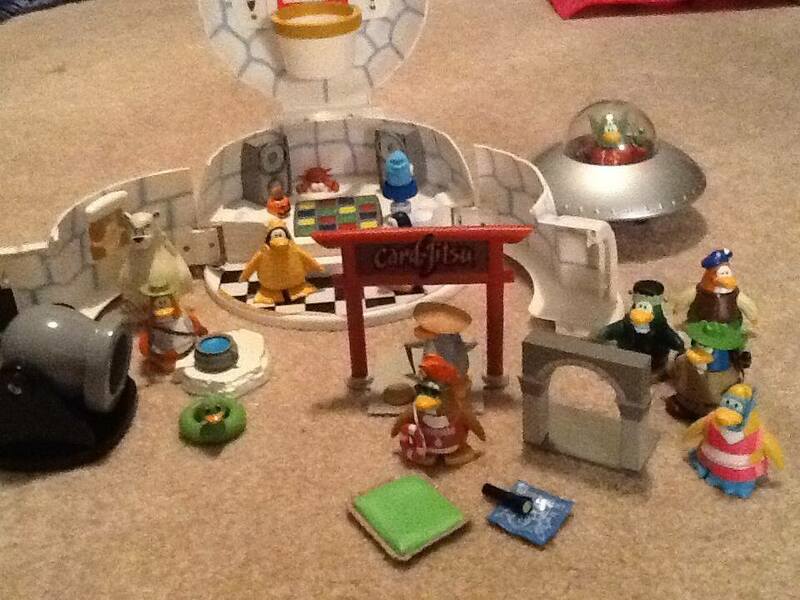 Board games, puzzles, books, gaming consoles most any toy you can think of really. Remember outside toys. Please limit hanging maternity to 25 items UNLESS they are new. All items requiring batteries should be brought with batteries so potential buyers will know that it works. Do not bring any item that does not work please. Out of season, stained, ripped, torn, or otherwise damaged items. No team shirts, no location logos. If you have a question please ask. Junior clothing must be 3 years or under.